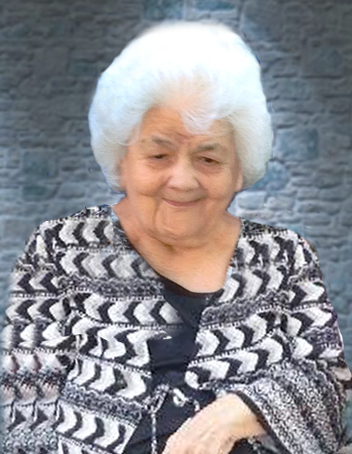 Mrs. Frances B. Jones, age 99, of Rome, passed away on Thursday morning, August 16, 2018, in a local hospital. A native of Rome and Floyd County, Mrs. Jones was born on August 12,1919, daughter of the late William Ortiz and Ethel Lamb Ortiz. She had been a resident of Rome and Floyd County her entire life and was a member of Radio Springs Baptist Church. Mrs. Jones was a housewife and homemaker and for a period of time was associated with the Bobby Robert-Clara Ellison School of Dance. She was an accomplished pianist who played for a number of local churches, charities and school affairs. Mrs. Jones was preceded in death by her husband, Walter W. Jones, in 1965, whom she married in 1936. A daughter, Sandra Duncan, a son, David Jones, two great-grandsons, Cole Andrews and Will Boyd Reese, three brothers, Blair, Wesley and Johnny Ortiz, and two sisters, Rosita Sunrich and Bertha Anderson, also preceded her in death. Mrs. Jones is survived by two daughters and sons-in-law, Linda and James Johnston and Barbara and Jim Rassier; one son, Walter Alvin Jones; son-in-law, Robert Duncan. Thirteen grandchildren, seventeen great-grandchildren, eighteen great-great-grandchildren and two great-great-great-grandchildren along with a host of other relatives and friends also survive. Funeral services for Mrs. Jones will be held on Saturday, August 18, 2018, at 1:00 p.m. in the Carl Sidwell Chapel of Salmon Funeral Home with Rev. Jerry Dudley officiating. Interment will follow in the Oaknoll Memorial Gardens. Mrs. Jones will remain at Salmon Funeral Home where the family will receive friends this (Friday) evening from 6:00 until 8:00 p.m.
Grandsons and great-grandsons will serve as pallbearers and honorary pallbearers. The staff of Salmon Funeral Home is honored to serve the family of Mrs. Frances B. Jones.